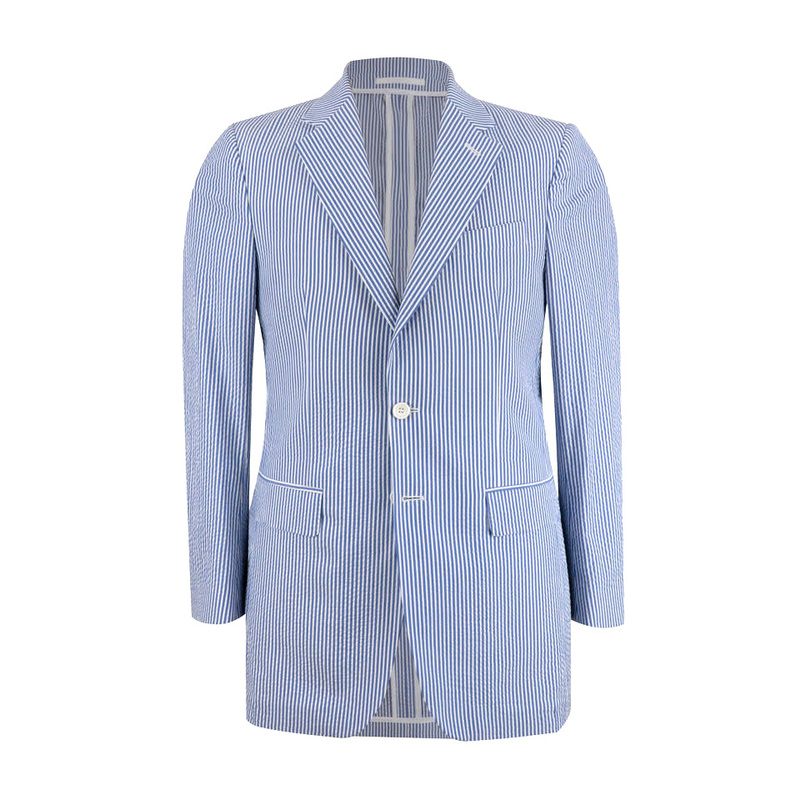 New for the spring summer 2019 collection this jacket is made from lightweight seersucker. 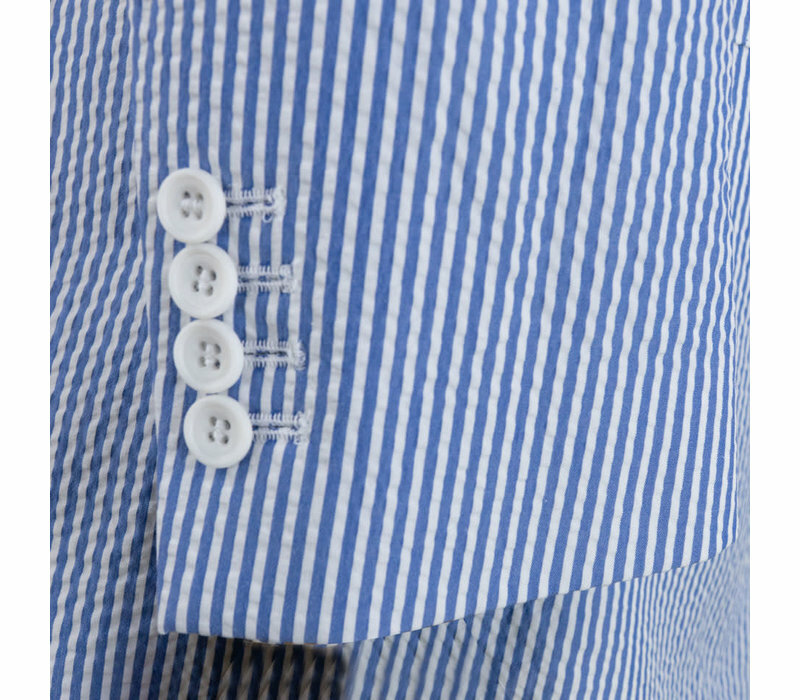 The puckered cloth allows it to stand away from the skin and maintain a cooling effect, and better yet, it does not need pressing, which makes it perfect for holiday jaunts abroad. 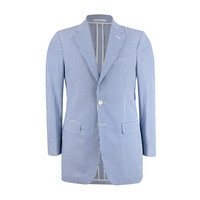 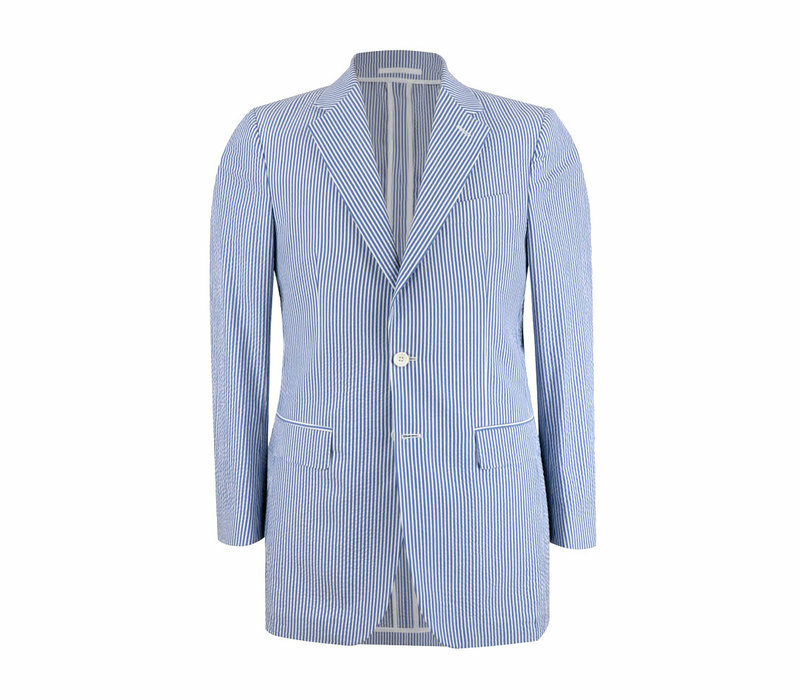 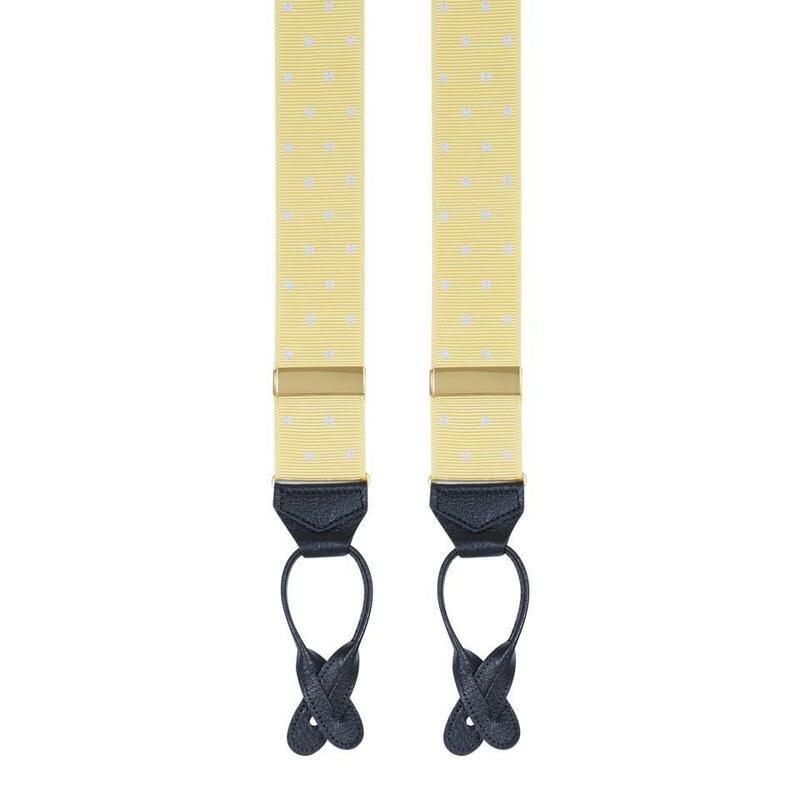 A mainstay of summer tailoring and sure to stand out at weddings and garden parties alike. 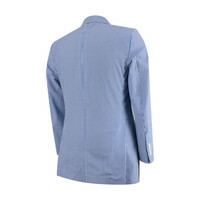 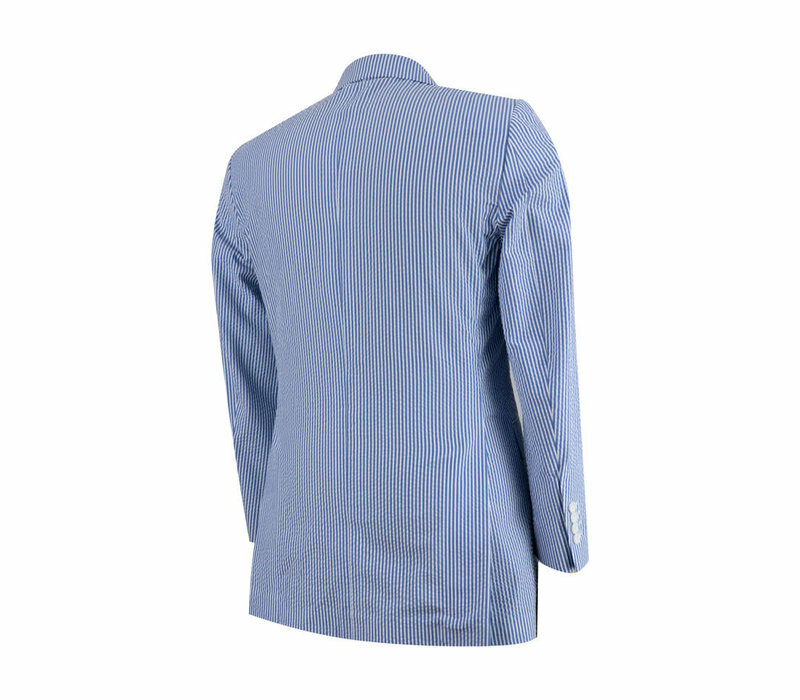 The jacket features a fully lined jacket, working cuffs, pick-stitch detailing, and a canvassed chest-piece. 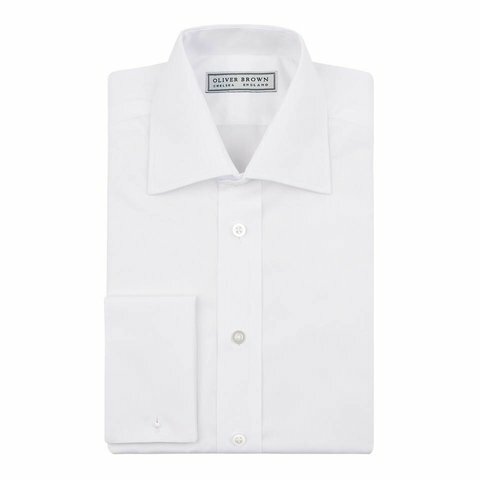 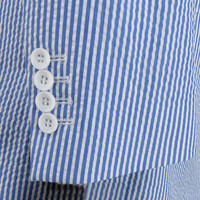 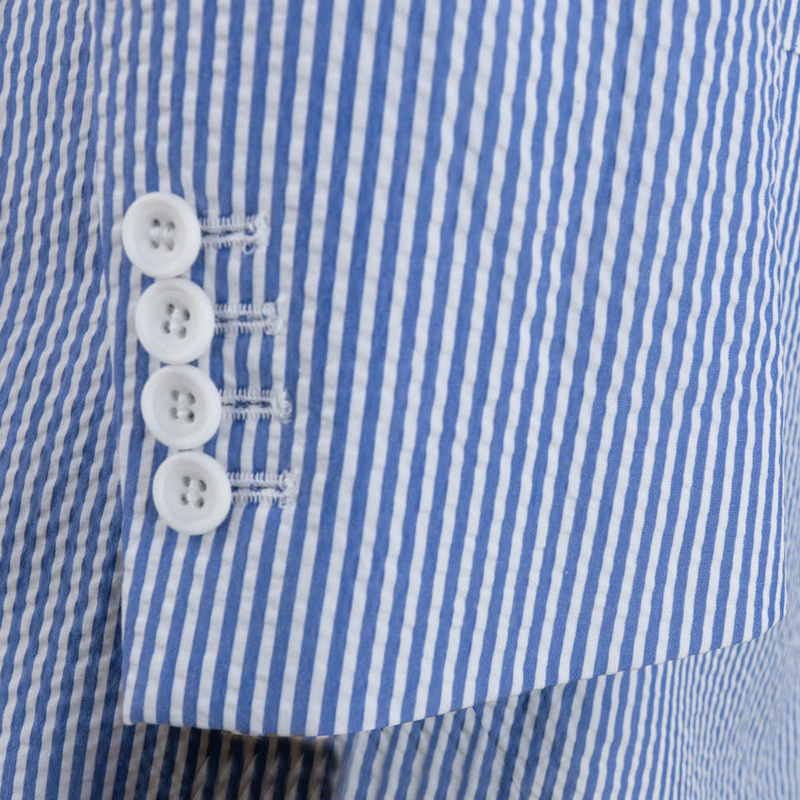 Constructed from pure cotton, and available in a choice of short, regular or long fittings.